Thermal receipt, Validation, Slip printing, No MICR, Ethernet, Gray, External Power supply. Formerly sold as HSP7543L-24 GRY. Thermal receipt, Validation, Slip printing, No MICR, USB, Putty, External Power supply. Formerly sold as HSP7543U-24. Thermal receipt, Validation, Slip printing, No MICR, Serial, Putty, External Power supply. Formerly sold as HSP7543D-24. Thermal receipt, Validation, Slip printing, No MICR, Serial, Gray, External Power supply. Formerly sold as HSP7543D-24 GRY. 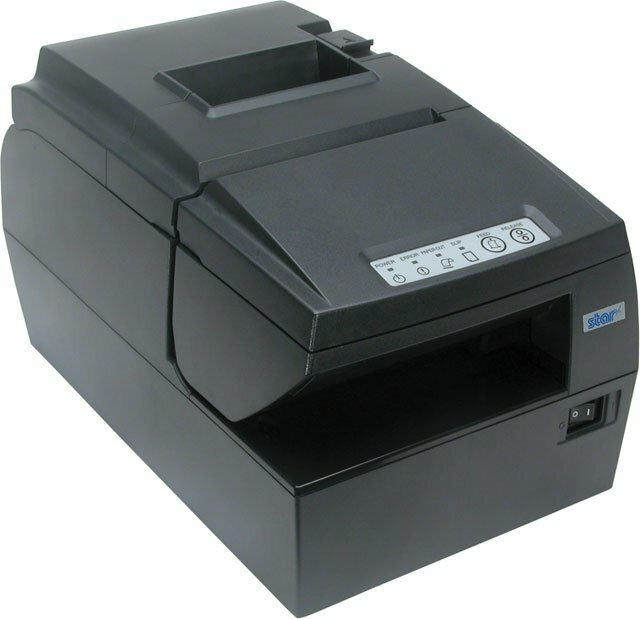 Thermal receipt, Validation, Slip printing, No MICR, Parallel, Putty, External Power supply. Formerly sold as HSP7543C-24. Thermal receipt, Validation, Slip printing, No MICR, Parallel, Gray, External Power supply. Formerly sold as HSP7543C-24 GRY. Requires power supply (Part# 30781753). Thermal receipt, Validation, Slip printing, No MICR, PoweredUSB, Gray, External Power supply. Formerly sold as HSP7543PU-24 GRY. Call to purchase. Thermal receipt, Validation, Slip printing, No MICR, PoweredUSB, Putty, External Power supply. Formerly sold as HSP7543PU-24. Call to purchase. Thermal receipt, Validation, Slip printing, No MICR, Ethernet, Putty, External Power supply. Formerly sold as HSP7543L-24.